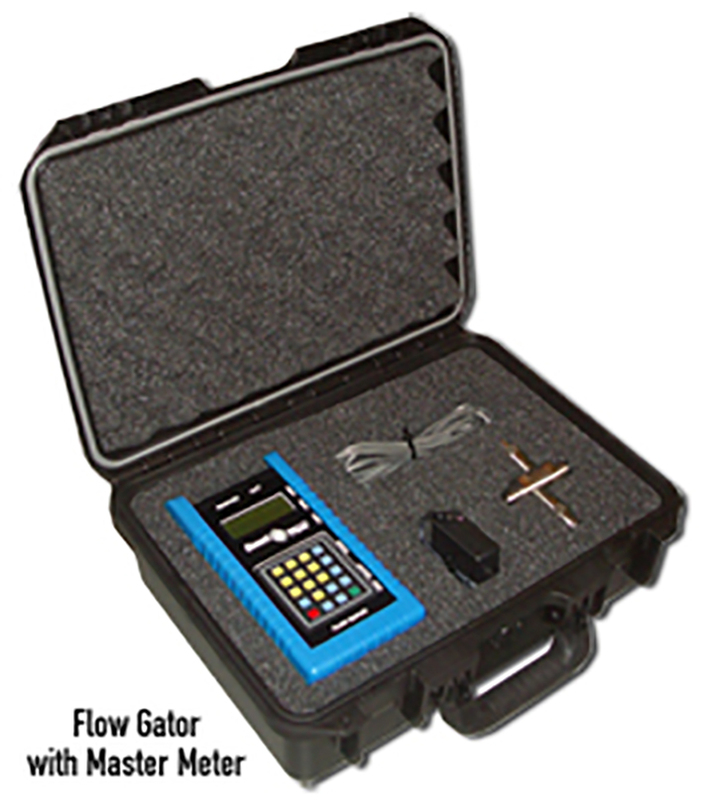 The Flow Gator is designed for use as a portable flow transfer standard (FTS) to calibrate flow meters that cannot be easily removed from their piping system. The master turbine meter is selected to cover the entire flow range of the test application. The master meter is installed in series with the flow meter to be tested. Calibration data can be collected using the Flow Gator or in series with a notebook PC using the Flo-Cal interface software. The Flow Gator collects all data output from the master turbine, temperature sensors, and the meter under test. Flo-Cal software running on the laptop computer is used to compile flow data and save all data of interest, as selected by the user. This Flo-Cal software also allows calibration data, including all input and output signals as well as various calculated parameters, to be easily monitored and saved. An integral part of a Flow Dynamics calibration system is the "Flo-Cal" Windows-based software program that collects, reduces, plots, prints, and stores the data. This program allows the user to change the screen displays, data sheet formats, and data reduction equations on-line without using source code and compilers. As new requirements for calibration processes, data, or correlations arise, the program can be changed by the user to meet these requirements.